To take it a step further, I thought it would be interesting to put the data into action—compare our personal household spending against the average American spending. Call me weird, but I genuinely look forward to each January because I finally get to analyze a year’s worth of our spending data. When used as a tool, data can be your friend. Without it, your spending is a guessing game. Data Sources: I’m using the latest data released from the Bureau of Labor Statistics (BLS) Consumer Expenditure Survey (2017 data that was published in September 2018). For personal data, I’m using our 2018 household expenses for comparison since it’s the most recent and relevant. BLS Data: Let’s start at the highest level—the “big three”: 1) Housing, 2) Transportation, and 3) Food. The BLS Consumer Expenditure Survey data shows that 62% of all spending comes from these three categories. If you want to see spending percentages specifically for your type of household, you can use Table B below. I’ve highlighted our current household type (married couple with no children, other than our two bad dachshunds) which shows that the big three expenses total 58% of all spending. Sloww’s Household Data: You’ll notice in the table below that I’ve also used colored icons to mark where our personal data is in alignment (green) and out of alignment (red) with the BLS data. This is likely because we own our cars in full (no ownership/lease payments), and transportation expenses (gas, maintenance, etc) are pretty minimal in the Kansas City area. In terms of the percentages, we were right in line with the food percentage and well under for transportation outlined in the table below. However, we are totally blowing it on the housing percentage. As I’ve mentioned before, we were guilty of lifestyle inflation and purchased a McMansion in the suburbs (okay, not exactly a McMansion by these standards but still way more house than we need). It’s been a good learning lesson to say the least, and the house will be a past memory soon (more to come on that in the near future!). All in all, we were way above the 58% BLS mark for the big three expenses. For us, the 80/20 rule held true, and the big three spending categories made up a whopping 76% of our total spending. While housing is currently a lopsided expense for us, there’s another reason the big three expenses made up such a large portion of our spending—it’s simply because we’ve drastically reduced spending in almost all the other expense categories. In addition to housing, food is one other category where we are currently over. This is an area I want to dig into deeper to find savings because we shouldn’t be over the average in food given it’s just the two of us and we don’t go out often. Although, we do have a Costco membership, and I categorize supplements and vitamins in the food category which definitely add up over the course of a year. You might scoff at that 20-25%, but it is real! I didn’t realize we were a real-life case study until I wrapped up our 2018 expenses—we cut our YoY (year-over-year) spending by 30%! The short answer: By being much more intentional about everything in our lives (including everything we spend money on). Exactly what Vicki Robin said. The long answer: I’ve been tracking our monthly expenses for years at a high level—total cash flow in/out of our bank accounts each month. Beginning in 2017, I started tracking every expense. Instead of using an automated tool like Mint or Personal Capital (although I do use Personal Capital (referral link) for net worth tracking), I decided to track our expenses manually in Excel. Although time consuming, I figured this would give me the highest level of control in terms of categorizing each expense accurately and then analyzing the data a zillion different ways. After analyzing our 2017 spending as a baseline, we set a rough 2018 plan for different spending categories. 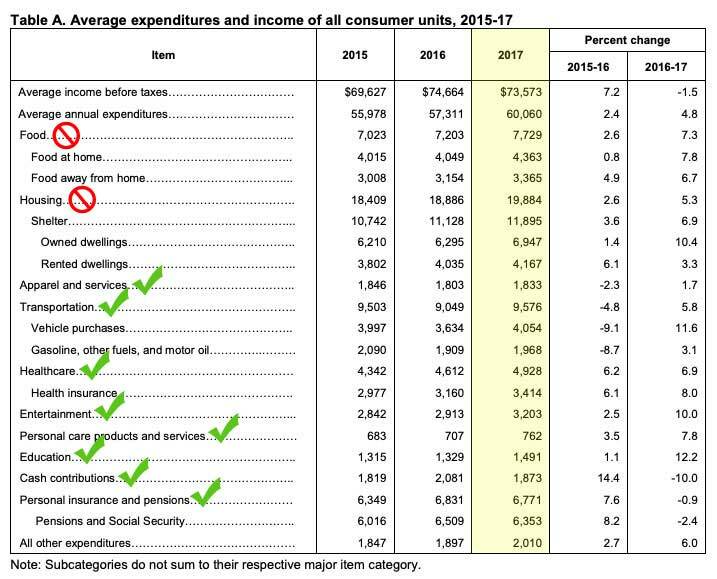 In top-level spending categories, there was a reduction in every single one except home utilities. Expense Increases YoY (2018 vs 2017): mortgage (we moved to a more expensive house in 2017), house HOA, phone bill, gifts/donations, and our gas bill. Expense Decreases YoY (2018 vs 2017): vacation/trips (slow travel), restaurants, electric bill, gasoline, home decor/supplies, dog vet/grooming, clothing (both my wife and me), wine/liquor stores, fast food, car maintenance, dog boarding, and more. I guess that “buy nothing year” for clothing helped out after all! The bulk of the 30% reduction in expenses was from eliminating spending on non-necessities which can be upwards of 50% of American household spending. Ready to say goodbye to keeping up with the Joneses? Do you know if you spend more on things vs experiences? 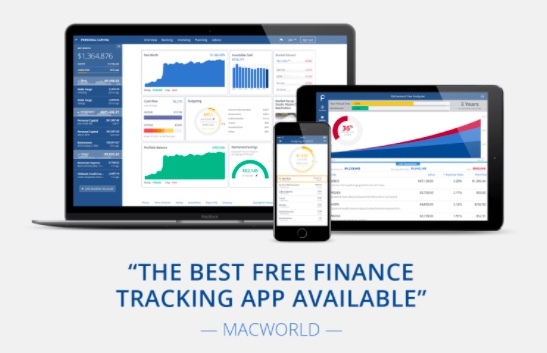 I would highly encourage you to track your finances (even if it’s using an automated tool) starting now. Let 2019 be the first year you have a full year of spending data at your fingertips. You may think you know where all your money goes, but research shows our estimates can be way off (same goes for how we think about our use of time). Use the BLS data as a baseline for comparison and intentionally find ways you can cut back spending. How will you define enough? I know our big next step is to tackle the #1 expense: housing. You can sign up for Personal Capital by clicking the link or image below. Virtually everyone in the FIRE community (Financial Independence Retire Early) recommends Personal Capital. Sync one investment account (401K, IRA, brokerage, etc) within 30 days of registering, and we’ll each get a $20 Amazon gift card. Full Terms & Conditions are listed below. Giveaway hosted by Personal Capital. A user must link at least one valid investment account (brokerage, 401k, IRA, etc) within 30 days of registering. An Amazon.com Gift Card valued at $20.00 will be awarded to each new customer who links a valid investment account and the customer who refers the new customer. All awards will be electronically delivered within six weeks from registration through Amazon to the customer’s email provided in the registration process. The offer will apply only to the first-time customer when a unique account is linked and will not be applied if the same account is linked multiple times in the same or additional accounts, or for any previous account, which was previously closed. Personal Capital clients are allowed to participate in this program and may also receive 3 months free if the referred user becomes a trading client. Referring customers who exceed $600 in valued gift cards, will be issued a 1099 and may be subject to tax reporting. Please note Bank, Credit or Debit Cards, PayPal, Stash, Acorns and Coinbase accounts do not count towards the giveaway. Using an ad blocker may adversely affect our ability to determine your account eligibility in the program. Final determination of eligibility is at the sole discretion of Personal Capital. The Personal Capital Amazon.com Gift Card promotion may not be combined with any other offers. Employees of Personal Capital are eligible for this offer. Personal Capital affiliates still qualify for payment pursuant to the terms of affiliate marketing agreement during this program. 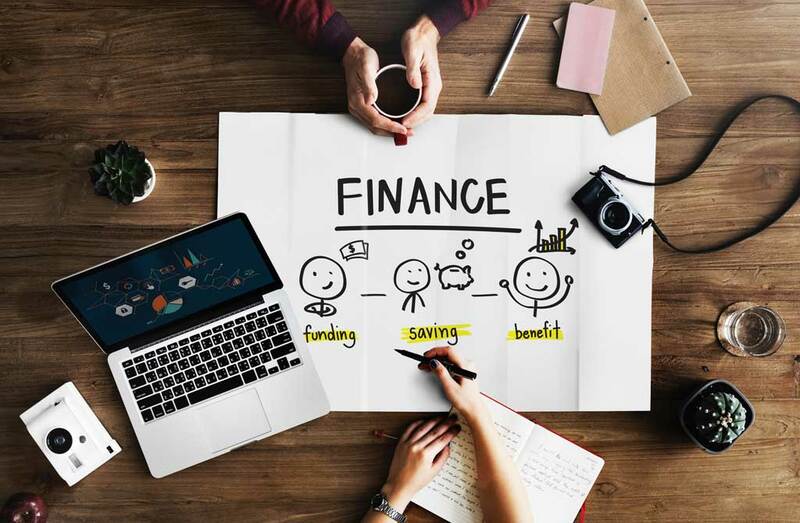 Personal Capital at all times reserves the right, at its sole discretion, to end the promotion or restrict participants at any time. No purchase or payment is necessary. Open to legal residents of the 50 US states and DC, 18 years and older.